— Just as the frustrated citizens on the Eastern Frontier of the Cape of Good Hope chase their Dutch East India Company (DEIC) magistrates out of town, the British invade the Cape. Their purpose is to occupy the Cape to prevent it falling into French hands. This new military government has no concept of matters at the Cape and promptly assumes the Afrikaners of the Frontier to be “French Revolutionary Jacobins”, to be put down with a firm hand. To this end, with duly recorded racist malice aforethought , The British Commander, Major-General James Henry Craig, creates an indigenous Khoekhoe (Hottentot) Army to intimidate the White Frontiersmen. Some 650 miles east of Cape Town, the new heir to the amaRharhabe Xhosa throne [See Part 2], Ngqika, has come of age. He has dismissed his scheming uncle Ndlambe as regent and made him captive. Ndlambe’s chief general, Nyalusa (Jalusa), has escaped into the Suurveld area, making common cause with Ngqika’s enemies, the Suurveld amaXhosa [See Part 2]. The diagram above shows the Royal descendancy relationship among the various amaXhosa people. The “Great House” is that of the amaGcaleka; the others are descendants of other sons. The amaGqunukhwebe are a mixed-blood inducted tribe having a significant admixture of Gonaqua Khoekhoe blood. The amaRharhabe and the Caucasian frontiersmen have been allies for 19 years [See Part 1]. 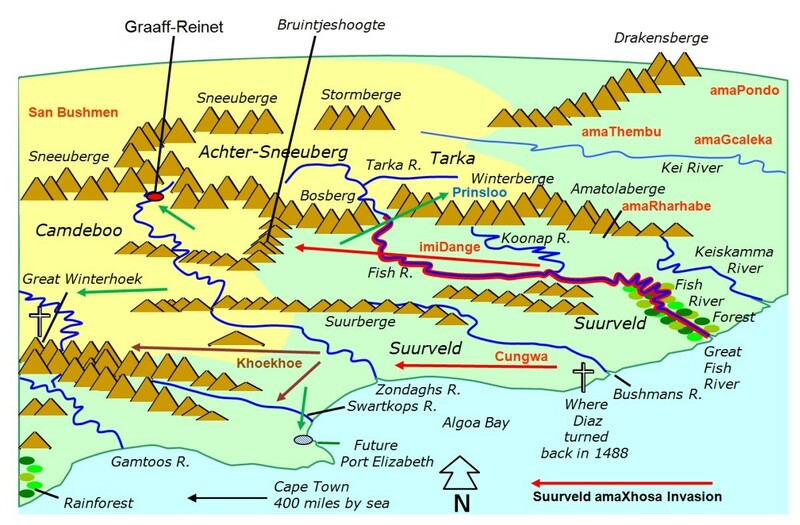 In the heart of amaRharhabe territory, at the foot of the Winterberg (see map above), Coenraad de Buys, the author’s giant 7 foot ancestral cousin [See Part 2], has done the “unthinkable” by marrying Yese, Ngqika’s hugely influential mother. Incredibly, Coenraad, the Caucasian Afrikaner, is now Royal Adviser to the powerful young amaRharhabe king. Ngqika defeats not only the Suurveld amaXhosa, but also the Great House amaGcaleka. He has taken captive Hintsa, the underage future king of all the amaXhosa. Ngqika now reigns supreme in the world of the amaXhosa. The British Governor has no idea that the amaRhrarhabe and the amaGqunukhwebe are mutual enemies. To compound the ignorance, the next British governor, Major General Francis Dundas, takes over on 21 November 1798 – a new man to learn the facts in a complicated place. On 6 April 1799 Dundas’ general Vandeleur arrests a lot of Afrikaner men of the Frontier on specious charges of rebellion and ships them in the aptly named HMS Rattlesnake to Cape Town. One of the men in this group is Marthinus Prinsloo, who lives at the foot of the Boschberg (see the map). On 7 April 1799 Dundas declares Martial Law, cuts off the lead and gunpowder supply to the Frontier region and, with few exceptions, orders all Afrikaner farmers in the frontier districts to hand in their personal arms and ammunition . These people are now completely at the mercy of all who would assail them. On 24 May, a reward of £200, dead or alive, is issued on the head of Coenraad de Buys. The governor’s assigned general, Vandeleur, thinks de Buys in league with the Suurveld Xhosa, given his own ignorance on the subject of the amaRharhabe. Vandeleur is at this point at the Frontier to suppress a supposed Afrikaner rebellion that never was. There is a long story behind this, but these are the essential facts. The details may be read in AmaBhulu. On the frontier farms, the Khoekhoe farmworkers, fully aware of their masters’ vulnerability, rise up and start killing the frontiersmen, stealing their remaining arms and goods. This is how Vandeleur runs into a gang of these murderers and robbers led by a man named Stuurman and promptly enlists several of them in his British army. Imagine A British general disarming the American citizenry and enlisting (say) the Cherokee against that American citizenry. Vandeleur sends a detachment of men to chief Cungwa of the ama-Gqunukhwebe to demand that he should move back across the Fish River. Cungwa gives apparent acquiescence. However, when the soldiers depart they are ambushed by Cungwa’s warriors and the first ever British soldiers to die in Africa do so in this engagement. Vandeleur makes for the coast at the future Port Elizabeth, where the HMS Rattlesnake is waiting offshore. On his arrival, he finds the Afrikaner population of the Southeast Cape on the beach, pleading for rescue from the rebellious Hottentots and the invading amaGqunukwhebe. Apparently It is only when the White Afrikaner citizenry express their outrage at the presence of Stuurman’s people among the troops, that Vandeleur realizes he has the actual enemy in his own train! Overnight, the Khoekhoe entourage disappears and makes common cause with the half-blood amaGqunukhwebe. Jointly they invade the colony. Seeing the success, the imiDange and some of the other Suurveld amaXhosa join in. Ngqika stays out of the invasion. He is not going to make war on his stepfather’s people! It is only when he receives an anguished message dated 27 July 1799 via the Magistrate of Swellendam, some 100 miles east of Cape Town, that the situation dawns on Governor Dundas. The message confirms that the author’s ancestor, Sara Delport, and a number of other relatives have been murdered by the joint invading force at the Great Winterhoek. […] leave the Boers and savages to fight it out. This must surely be the lowest point in the history of the rightly proud British Army. The 1799 population of the Eastern Colony has fled in three directions (see the map above). The bulk has fled to the West through the interior. Those closer to Graaff-Reinet have fled to that town. And then there is the huddle on the beach with the British Army at Algoa Bay, the future Port Elizabeth. We shall soon meet one more group. Incredibly, this British Military government has just lost half its colony by mishandling a mortgage disagreement with a farmer. But that’s another whole story for another day, all of which is in AmaBhulu. The above is the background to the third sketch of alliance between black and white in South Africa. 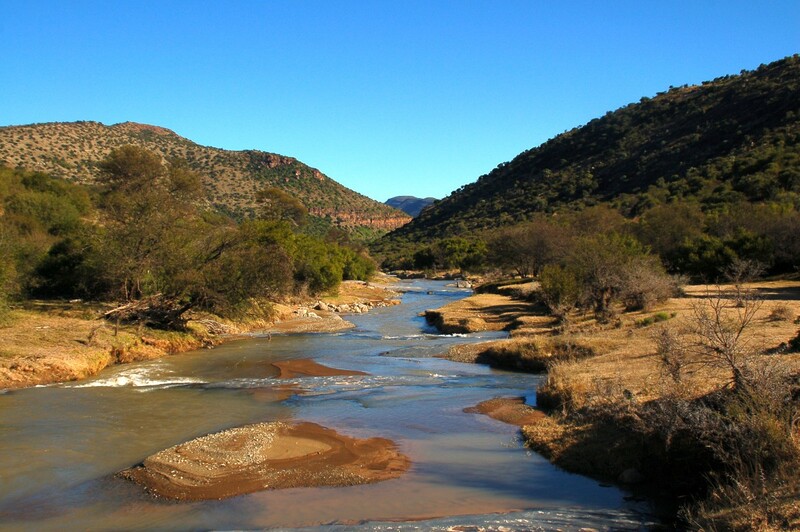 It starts at the spot where the Baviaans River, draining a gorge of the same name in the Winterberg, joins the Great Fish River. The course of this river also provides the path to the furthest occupied part of the colony, known as the Tarka, behind the Winterberg. 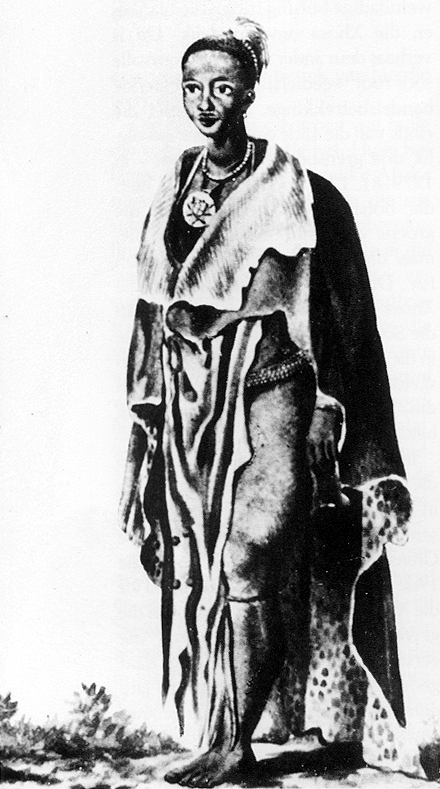 Pieter Prinsloo, nephew of Marthinus in the castle in Cape Town, has gathered together the inhabitants of the region at the foot of the Boschberg (See the drawings). Armed with what weapons they have been able to lay their hands on, this trek of lumbering oxwagons sets off up the Baviaans River Gorge (below). Before long they are attacked by the imiDange Xhosa. They manage to repulse several attacks without loss and eventually make their way into the Tarka. 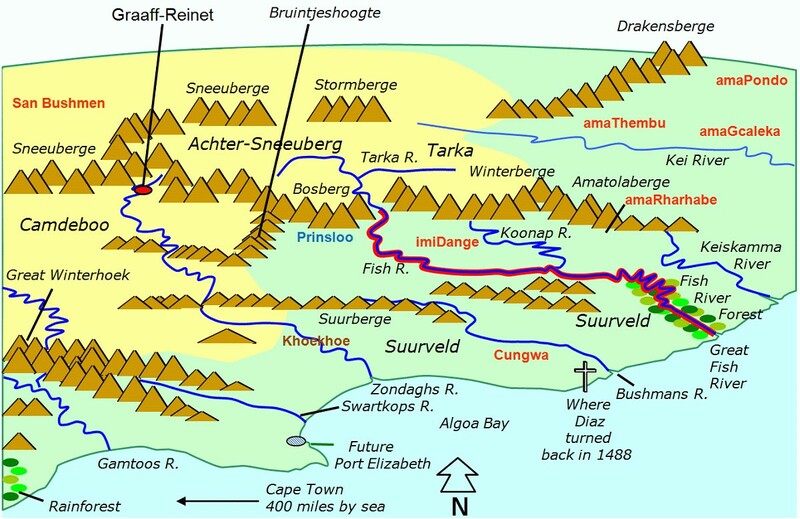 Upon arrival in the Tarka, Pieter leaves the trek and sets off over the Winterberg towards the capital of King Ngqika and his adviser Coenraad de Buys. Aug.14th.— […] soon after, Piet Prinslo arrived; he said Gika intended to keep peace with the colonists, and to protect them, offering them a piece of ground between the Kacha [Kaga] mountains, and the Konap River, that he has sent out four deputies to proclaim that all hostilities committed by his subjects were against his will, and immediately put a stop to them. Aug.15th— […] and this morning Gika’s men arrived, and staid at this farm. In the evening the Mondankian* Caffres again appeared, but kept themselves in the river: our dogs flew at them, and as soon as one of Gika’s men oredered them to make their retreat, they obeyed. Besides confirming the alliance between the Black King Ngqika and the White Frontier Afrikaners, this quote also confirms that the piece of land between the Koonap River and the Kaga Mountain in the Winterberg was on offer from Ngqika. It would surface again in another so-called “rebellion” in 1815, and things would turn very ugly indeed under an American Loyalist Magistrate. It would cause 150 years of hatred of the British, with very good reason. The piece of land is rectangularly shaped due to the sharp northward turn of the Koonap River. It is generally known as the The Koonap and ranges from the present town of Adelaide to Fort Beaufort. Back in the Cape Colony, the Khoekhoe invaders eventually run out of lead and gunpowder and melt back eastward. When they fall out with the amaGqunukhwebe about the spoils, the latter also withdraw back to their Suurveld location at Congoskraal, near the present day Alexandria. In simple words, Great Britain has paid tribute to men with spears! For the moment, the British Army leaves the Suurveld to the Suurveld Xhosa. At least Dundas has learned a basic lesson: NEVER DISARM YOUR OWN DEFENSES! The whole sordid and upsetting story of the First British Occupation of the Cape, buried in shame by British and South African historians alike, may be read in detail in AmaBhulu. It is a rare occurrence indeed in history that a man should get a second opportunity to correct his mistakes, history being an extremely vicious judge of men. However, that is exactly what would happen to Dundas. But, we’ll find out more about that in our fourth installment. G. McCall Theal, Records of the Cape Colony, Vol. 1, (1897), p. 354; Letter from General Craig to Govt. 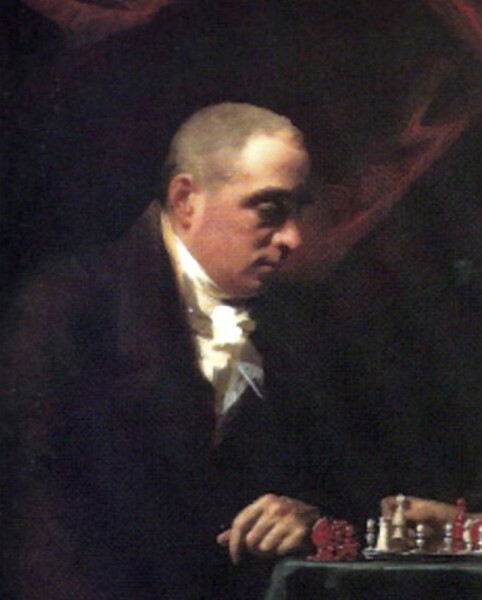 in London, “Nothing I know would intimidate the Boors of the Country more […]”. The term “Boor” is a willful derogatory corruption of the Dutch word “Boer”, meaning “farmer”. German: Bauer. Transactions of the Missionary Society, Vol.1 Second Edition. (1804) p.388. First attempt to enter Caffraria. Part of the Journal of Johannes Vanderkemp.